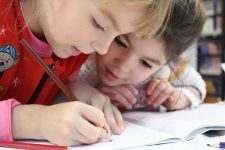 Homeschooling programs are understood as the education of children outside of public or private institutions, either in the context of the home or in little broader circles, such as a neighbourhood community or a family association. Thus, it is an educational model away from the school curriculum; and that generates many doubts, criticisms and an intense debate between the different positions. Currently, there are already thousands of families who are committed to educating their children within homeschooling programs. Parents tend to opt for homeschooling when they feel that their children are not comfortable in school and/or do not receive the desired education. These families claim to take risks by educating their children outside the classroom but also acquire certain benefits that make up for their decision. Do you want to know what they are? In homeschooling, it is proposed that children learn through fully personalized experiences. Their day-to-day activities involve activities far from curricular impositions and school programs, and which, on the contrary, are based on their own interests, favouring motivation, vital for learning. 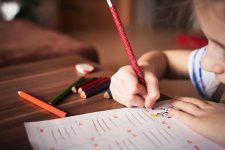 Thus, homeschooling encourages the curiosity and autonomy of children, working from their questions and their desire to know certain issues and reality in general. The key point of this model is, undoubtedly, families, which have a very prominent role in the education of their children. Children should complement learning at home with visits to museums, nature excursions and extracurricular activities. Thanks to homeschooling, the relationship between children and parents is strengthened, but we must also take into account the effort that families must make to accompany their children in their routine. Sometimes they have to reduce their work hours or even abandon their professional lives to devote themselves fully to the education of their children. Sometimes the lack of established hours is considered a negative element. However, homeschooling does involve some day-to-day organization, unlike other currents such as unschooling. Perhaps, we will talk more about it on another occasion. The biggest criticism of home education comes from a lack of relationship with other children. 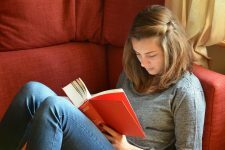 In homeschooling, the socialization that they would obtain in the classroom is limited, so they do not develop their social skills in the same way as the children who attend school. In order to strengthen the social relationships of children, a good idea would be extracurricular activities or joining other families that carry out a similar model. In addition, it must be taken into account that in many countries the legal coverage of homeschooling is pretty small. Although in states such as Finland or the United States this practice is perfectly legal, in others like Spain its adaptation is still in question. What are the advantages and disadvantages of homeschooling?